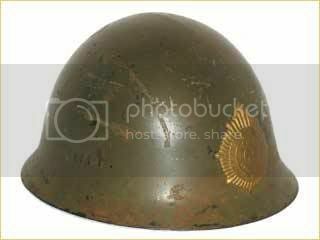 Japanese Type 90 helmet reissued to Thailand after World War II. 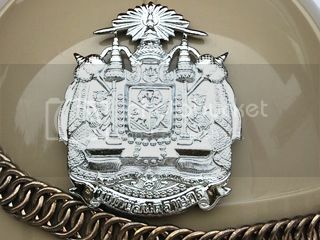 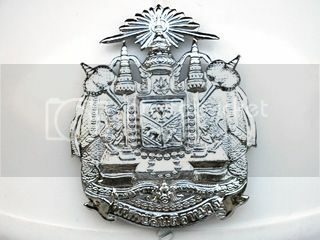 It features a French style liner system and the Thai metal badge, which says "Die For Your Country." 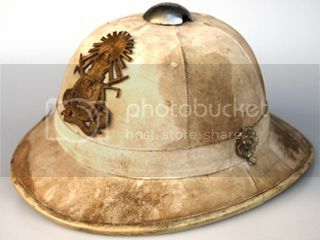 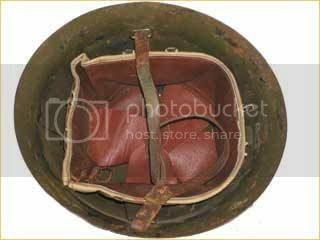 Based on the French M31 pattern sun helmets used in French Indochina, this Thai Army sun helmet was used from the late 1940s to the early 1970s. 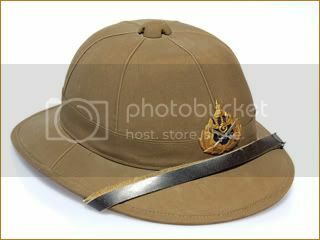 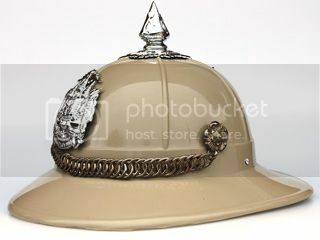 Based on the French pattern sun helmets used in French Indochina, this Thai Border Patrol sun helmet features the Thai royal crown. 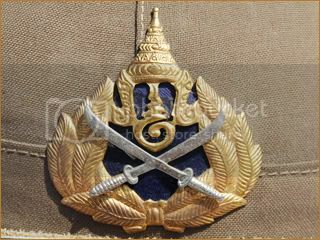 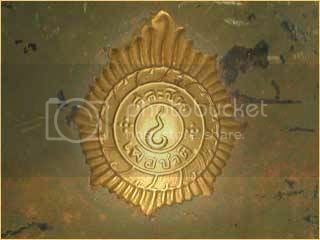 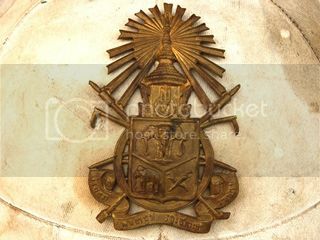 A modern version of the Thai Royal Guard sun helmet. 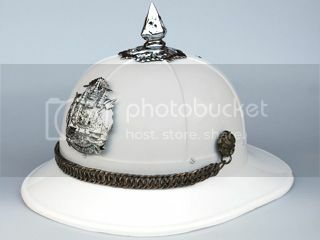 This example is white for use with the summer dress uniform. 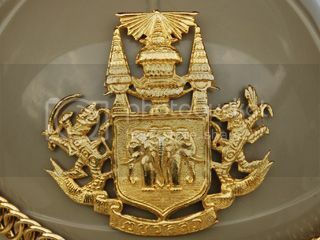 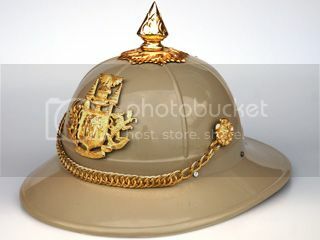 A modern version of the Thai Royal Guard sun helmet. 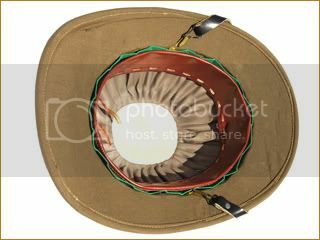 This example is khaki for use in the winter.